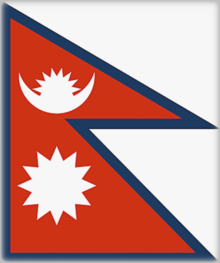 Additional Info: Eight of the world's ten highest mountains are in Nepal, including Mount Everest. Famous for trekking, hiking, camping, mountain biking, national wildlife parks, jungle safaris, river rafting, sport fishing, and many beautiful temples and places of worship. Nepal is the trekker's dream, an adventure playground and home to 8 out of the 14 highest peaks in the world, all over 8,000m (26,246 ft), not to mention the land is a host to ancient cultures. The range of treks varies from short gentle hikes through terraced foothills to lengthy expeditions to Mount_Everest's summit. 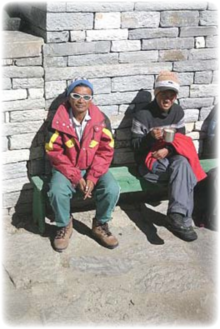 Major trekking areas include: Annapurna, Mount Everest, Langtang, Mustang, Dolpo and the Kanchanjunga Trek. 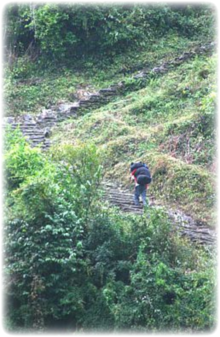 Nepal's most popular trekking routes are in Annapurna. Annapurna is a series of peaks in the Himalayas, a 34-mile-long massif whose highest point, Annapurna I, stands at 8,091m (26,538ft), making it the 10th highest summit in the world and one of the 14 "eight-thousanders". 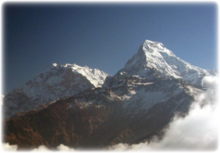 Trek over the foothills of the Annapurna and Dhaulagiri ranges, through rhododendron forests and the Kaligandaki Gorge (the world's deepest gorge) and past some of the most dazzling sceneries on earth. Langtang, the third most popular trekking region in Nepal lies directly north of Kathmandu. It is protected as a national park and has a number of high peaks including Langtang Lirung (7,246m or 23,772ft). The Gosaikunda Lakes (the most popular Hindu pilgrimage site) is situated in this region. The park contains a wide variety of climatic zones, from subtropical to alpine. Approximately 25% of the park is forested. Trees include the deciduous Oak and Maple, and evergreens like Pine, and various types of Rhododendron. 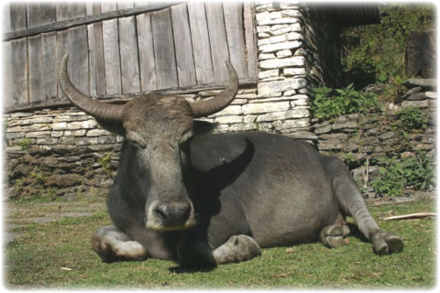 Animal life includes Himalayan black bear, the goat-like Himalayan tahr, Rhesus monkeys and Red Pandas. There are also stories of Yeti sightings. Mustang offers a truly exceptional opportunity to explore an area rich in ancient tradition and mythology. It is largely dry and arid due to its position in the rain shadow of surrounding mountains. Even though foreign visitors have been allowed to the kingdom since 1991, tourism to Upper Mustang is very restricted. Foreigners need to obtain a special permit to enter, which costs $700 per 10 days per person. A shepherd in Mustang discovered a collection of 55 cave paintings depicting the life of Buddha in 2007. The people here are Tibetan in origin and their way of life and spoken language reflect this ancestral lineage. The trek takes you to the walled town of Lo-Manthang, a visually extraordinary place, home of the present Mustang's King and full of beautiful temples and Gompa. Rara, the largest Lake in Nepal, is at high elevation. It lies in the Mugu District in Western Nepal and falls under the Rara National Park. Only a few trekkers take on this trek to experience its unique culture and dramatic landscape with some historically important places on the way. Kanchanjungha, the third highest peak in the world lies on the eastern border of Nepal with India. On this trek you experience remoteness of country, romantic mountain views, diverse flora and fauna and rich local culture. Kathmandu is the capital and the largest city of Nepal. The city is situated in Kathmandu Valley that also contains two other cities - Patan and Bhaktapur. Head for Durbar Square, the place of the Malla and then the Shah Kings of Nepal, visit Kumari Temple, house of the virgin goddess, visit Swoyambhunath, a stupa on the top of hill - from here you can overlook the scenery of Kathmandu Valley. Visit Patan, a city famous for arts and crafts. A favorite is the Shikara (Krishna Temple), Patan Durbar with Royal bath, Hiranya Varna Mahavir (Buddhist Monastery). You can travel overland to Lumbini, the birthplace of Lord Buddha, which has been revered as a place of holy pilgrimage. Lumbini has been included as a World Heritage Site by UNESCO. 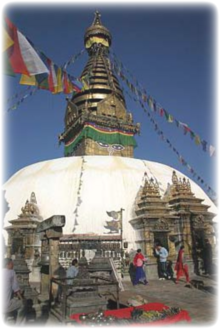 Try not to miss the cable car trip to Manakamana Temple, believed as the wish fulfilling goddess. Walk through the Sacred Lumbini Garden where the Buddha was born, converge on the Ashoka pillar, visit the Maya Devi Temple with its bas-relief sculpture depicting Maya Devi holding on with her right hand to a branch of pipal tree and giving birth to the infant Buddha who stand up on a lotus pedestal. On Nepali rivers you can find some of the world's most thrilling white water rafting, consider exploring: Trishuli River, Seti River, Bhote Koshi River, Kali Gandaki River, Marshyangdi River, Sun Koshi River, Arun River, Karnali River, Tamur River. Many rafting companies offer tours of each river ranging from 2 day to 14 day. The Karnali River is said to be the most amazing river in Nepal. 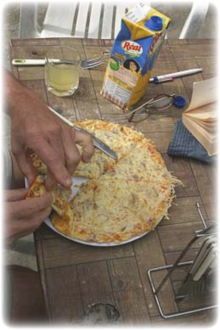 Most say that exploring the Karnali was one of the most incredible journeys of their life. It is one of the largest affluents of the Ganges. Rafting the Karnali takes you through remote, jungle-clad canyons, big white and abundant wildlife. The rapids are pretty wild, with the river building to its climax in the lower canyons shortly after the sharp bend in the river "the elbow" by the Lohore Khola, the valley narrows into a series of canyons, the river speeds up, and there are big rapids, one leading into another, almost continuously down to the Seti River from the elbow down to the Seti the gradient is 15ft a mile, but after here, the gradient eases, as the river winds through some magnificent unspoiled scenery, eventually emerging onto the plains and flowing through the Royal Bardia National Park to join the Ganges. Rapids are Class III to IV in spring and Class III to V from September to December. The river can be rafted year round. Sun Koshi (meaning River of Gold) is in the Mount Everest region of Nepal. It is the longest river trip in Nepal traversing 168 miles through the beautiful Mahabharata range. Classic routes begins after a 3 hours drive from Kathmandu, 37 miles from the Tibet border. The river is not "raftable" from June to August and is Class V rapids the rest of the year. This classic river trip is famous for being one of the top ten river journeys in the world. The ever changing scenery helps to ensure that each day on the river is exciting and different. 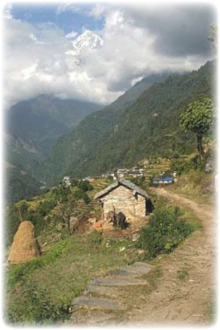 The trip begins with high mountains, open valleys, forests and small remote villages. The final days bring you to open plains and the thriving village of Chatara. It is considered as the ideal river for long rafting. The Sunkoshi menders its way through the lovely and picturesque Mahabharata range of mountains. This trip takes you from the mountains near the Tibet border to the hot dusty Indian plains.